Please check Multiple HIDE OR Multiple SHOW condition, It is not working for me. EX. I have just created some fields and when I use Multiple HIDE OR Multiple SHOW condition, It is not working. Could you please give us a bit more details on the issue as well as the jotform that you are experiencing this on so that we can check? I was not able to see any conditions in it so I do not know what was wrong with them, but have instead set the conditions for you. I have also enabled the date tool so that you can go through months and test it out how it works. Do let us know if that is what you were after. But I am unable to clone this form...please help me..
You should not have any trouble in cloning my colleague's form. Anyway, I have gone ahead and cloned this form in your account with name "Clone of Clone of Attendance Sheet". Thank you for cloning this form to my test3 account. But this same problem appears when I am trying to clone it (NEWLY CLONED FORM) to another account for using purpose. Your system says that this page of this source does not contain any form. I can not understand why this instruction comes after putting correct URL. I did check your "test3" account and you have not disabled the form cloning in your "Account>Settings" page. You should not have any trouble in cloning forms form your account. Please let us know your other account username where you want to clone this form. I will also suggest you to please sign out and then sign in again to your other account before cloning form. 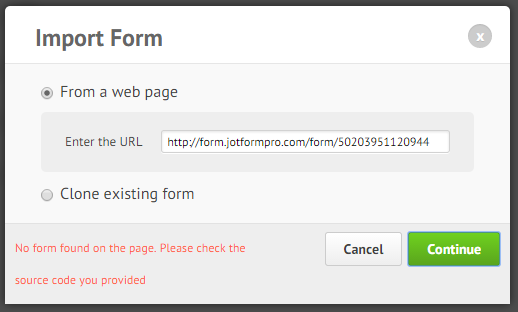 this problem aeries from today (in case of not only this particular form, every form in jotform). Till yesterday it was not a issue. my another account is "upload3". I know you will help me to clone this particular form in this particular account but I want to solve this problem for future uses. Please response ASAP. I am waiting from morning. As suggested earlier, did you try to sign out and then sign in again before trying to clone form? Please confirm if the issue persists, we will move this to a new thread and report it to our back end team. Recently I have checked it with a different account and different form link (which will be cloned) but the result is same. Summary: Cloning of a webpage is not working. I have cloned the jotform into your account upload3. I did not see any errors neither while cloning it to your account nor when cloning other jotforms so I believe that the issue might be related to your browser cache. Also, if the same issue happens again, please try using some other browser like FireFox or Chrome and see if you are greeted by the same error. But I don't know what is happening with me. From your side you are trying to solve this problem and provide me solution but NO RESULT. I have tried it from FF, GOOGLE, IE and OPERA but result is same. I have cleared Browser's Cache but NO RESULT. EVEN I HAVE TRIED IT FROM MY COMPUTER AND LAPTOP BOTH, BUT SAME RESULT. NOW I HAVE NO OTHER OPTION. 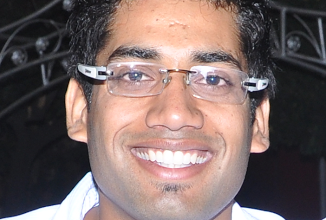 I am requesting you to check it from "jotform.me" and as an "user". I have just did that and I am not able to recreate the issue on my side. 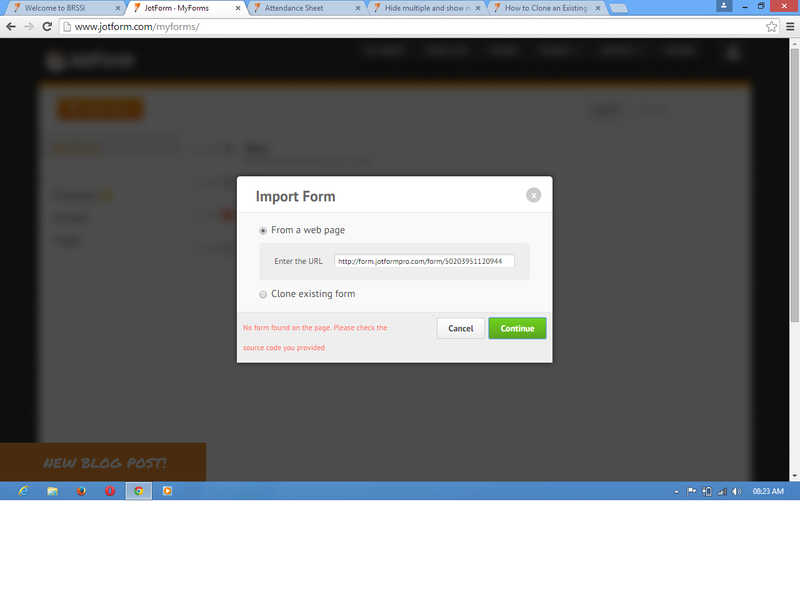 I have logged into our jotform.me domain and tried to clone the jotform (using account on free plan) and can not see any errors at all. The same happened on our other domains. Since you say that this is affecting all of your browsers and different devices, it would mean that something might be happening in the back (firewalls, routers, etc). Also, if you can open a console when you try to clone (if you still get an error) and grab a screenshot then. To do that in FireFox, just press CTRL+SHIFT+K (accessible from Tools->Web Developer -> Web Console). Good morning, OK... leave it. I have tried your solution Ben, but results is same even I have re install my FF and chrome browser for checking purpose but it gives me same result in different device (Computer and laptop) I think this problem only aeries only for INDIAN user because except me no other user discusses this problem in the forum. 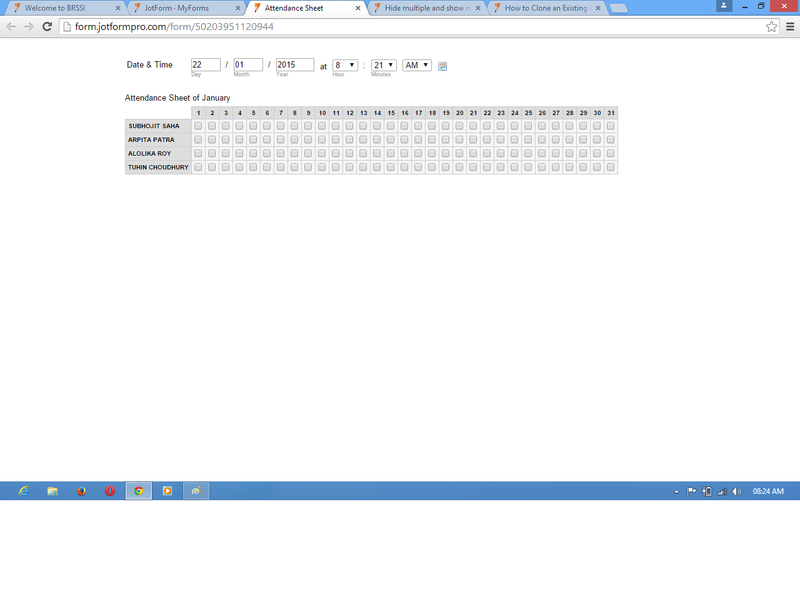 So, please Clone this form http://www.jotform.me/brssi_exam/Student_Area into "brssibkp" account please.